A FARM secretary has defied one-in-a-nonillion odds to crack open 10 double-yolked eggs in a row. And Emma Tremaine says egg 11 in her box of a dozen from Aldi was a single but the 12th was also double-yolked. The chances of getting an egg with two yolks are one in a thousand so to get 10 on the trot is the number one followed by 30 zeroes – or a nonillion. The 27-year-old from Coalton Raleigh, Devon, documented the remarkable feat in a series of still photographs and video. 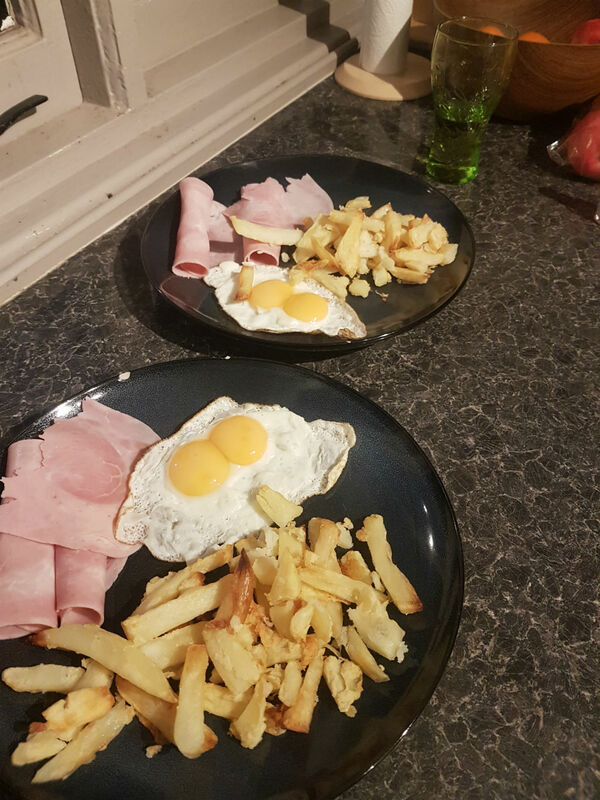 Emma was amazed when she was making dinner and cracked open two double yolked eggs one after another. Amazement turned to incredulity the following morning when a further two eggs for breakfast each contained two yolks, as did an egg cracked open for cake baking and a sixth opened into a pan. After taking pictures of the first six, Emma filmed a further four doubled yolk eggs that she cracked open into her frying pan. This morning Emma’s run ended when she cracked open a single egg yolk for breakfast. But the 12th and final egg turned out to have two yolks, making 11 out of 12 from the same box. Emma posted the photographs bought from the Aldi store near her home in Topsham, Devon, to the Aldi community Facebook page. Each egg has a been photographed showing two perfectly rounded egg yolks. The double yolkers sit side by side untouched and unspoilt as each egg is sat cooking in the frying pan or served on the plate. Any asumptions of one gigantic yolk have been squandred with each egg clearly carving out two separate yolks. Emma posted the photographs and said: “Hi Aldi UK so I bought a dozen large free range eggs from you a week or so ago. “Have used half of them and every single one so far has been a double yolker! Never even seen one before! Any ideas why, or am I just really lucky? She said today: “I’ve never seen one before and I know they’re quite rare so when I was making dinner and cracked two in the pan I called my husband to come have a look. “Then when I got the next two the following day I thought this is so odd! Emma who has worked with poultry before said these double yolkers are formed by young hens. Emma is not the only customer to benefit from Aldi’s double yolk eggs. 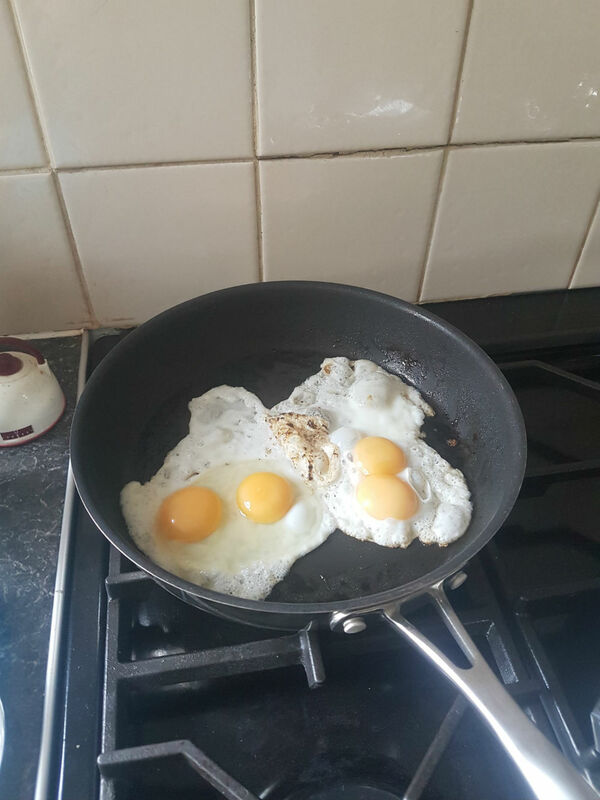 Sue Hughes found four double yolks in one box yesterday after she purchased the same brand of eggs as Emma, Merevale Large Free Range Eggs.